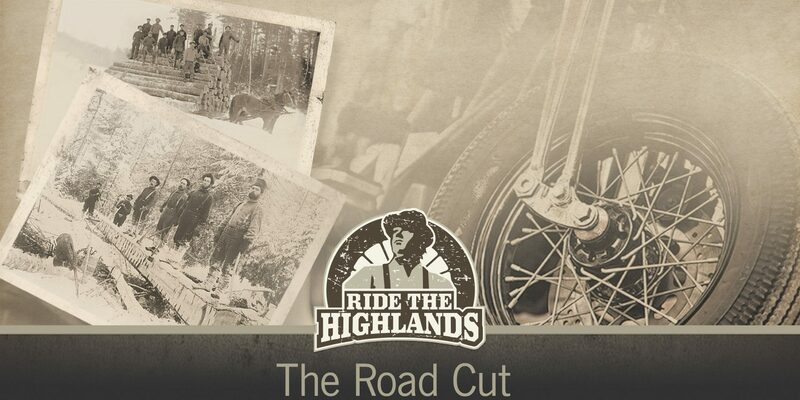 When you Ride the Highlands, you are sure to rip killer roads, meet fun folks and take in legendary views. We guarantee you’ll have a great trip and that you’ll be planning your next one before your first one ends. Bikers always bring home epic memories, but souvenirs from your journey are even more fun to show off to your buddies. We’ve put together a list of the top Ontario’s Highlands’ finds to load in your saddle bag. We’ve handcrafted limited edition Ride the Highlands Spikes as an additional reward for exploring our amazing area. Pick up your branded railroad spike to hang in your garage close to your iron steed. You can pick up these slick free tools at these five awesome Ride the Highlands businesses. What a better gift than some handmade apple treats. Hop on the Quyon Ferry and head to the Coronation Hall Cider Mills located in Bristol. Try some fresh apple cider (hard cider available too), apple butter, jelly and pies…yes pies…fresh apple pies. You may have the opportunity for a tour of the facility, especially the original old dance hall on the property. Artech Glass Blowing Studios makes art you can really use. Here you’ll find some pretty sick handmade upcycled beer bottle glasses, tumblers, coasters, and magnets. Owners Jenn and Craig have some serious fiery talent. See them in action with a glass blowing demo. Java, cup of joe, brain juice, rocket fuel, whatever you call your beloved brew, all bikers thrive on the stuff. Barry’s Bay is home to Madawaska Coffee Co., a small batch roastery. If you are staying in the area, be sure to enjoy a mug before your day on the road and grab a bag to share at home or just to make your leather jacket smell nice. With many craft breweries in our region, we hope you’ll find a handcrafted pint that suits your complex motorcycle taste bud palate. If you have room, grab a growler to take home or to enjoy at your motel once the kickstand is down for the night. You could even serve it in your new glasses from Artech (see above). For more locally crafted beer options, check out our blog Mmmmmm Motorcycles & Microbrews – 6 Microbrews & Cideries Worth Riding To. We call these souvenirs, but we know they won’t make it home. Penny’s Fudge Factory is rocking and rolling as always at their new location in Pakenham, and Hidden Goldmine Bakery has a new addition, the Miners Malt Shoppe. Save room for a butter tart explosion Sundae. Good luck getting these home. The Country Cupboard is home to a collection of motorcycle tin and wooden signs. If you love your steed, grab one of these beauts to mark your territory at home. No room to pack it? Don’t worry, they’ll ship right to your garage door.